After 5 incredible seasons, Community has finally ended. Twitter exploded on Friday, May 9th after tweets from the cast went out. I love you Community. I love you Greendale. Thank you to all the Human Beings who made this the coolest 5 year college experience. And after a tweet from Joel McHale, #darkesttimeline became one of the top trending tags on Twitter that day. There was a huge outpouring of support and sadness for the beloved show. Fans were holding out hope when they brought back creator Dan Harmon for this past season. They even made jokes directly at NBC during the final episodes, perhaps in the hopes of trying something different and getting that final season. Or maybe they just knew they weren’t coming back and wanted to have some fun on the way out. At the end of the final episode there was a series of commercials for ridiculous shows, but apparently it’s not as ridiculous as they made it seem. All of the commercials are similar concepts to shows they were competing against to get a spot in the lineup this fall. Unfortunately for the fans, even with Dan back and these cracks straight at NBC, the show only averaged 3.8 million viewers. Not nearly enough to keep NBC interested. NBC has confirmed that community has been cancelled. 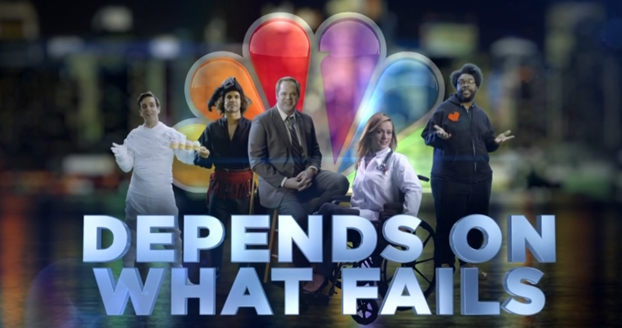 Although NBC has forsaken the Greendale gang, there may still be hope. The show has already been sold to Comedy Central in syndication and Hulu owns the digital rights. This may not be the last of our favorite study group. Now we have to hope for someone to save the gang from the impending asteroid on it’s way to destroy all of human civilization. And that’s canon.